This program declares 4 variables of type int, float, double and char. Then, the size of each variable is evaluated using sizeof operator. In this program, 4 variables integerType, floatType, doubleType and charType are declared having int, float, double and char type respectively. 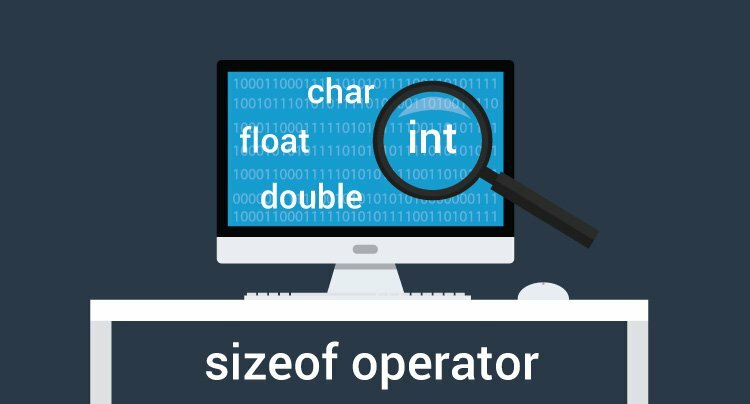 Then, the size of each variable is ascertained using sizeof operator.